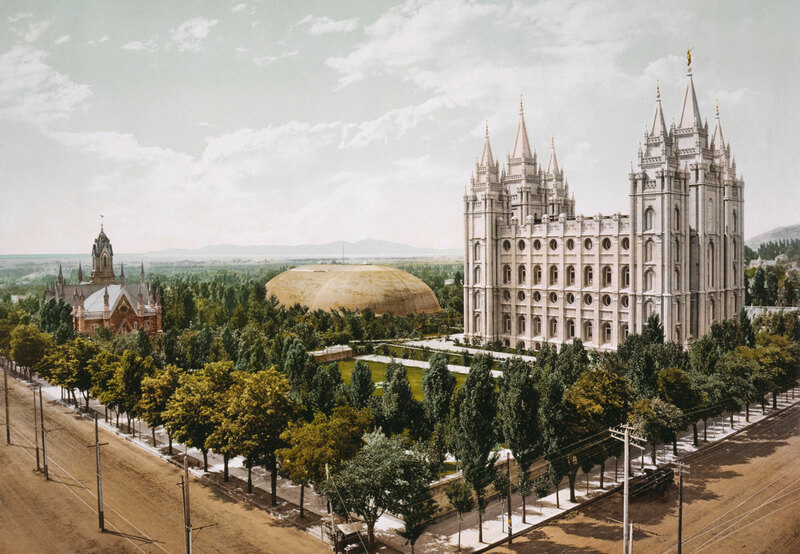 Temple Square, Salt Lake City, Utah, in 1899. Photograph by William Henry Jackson. Image via Wikimedia Commons. The scriptures show that from dispensation to dispensation, and from time to time, God and his appointed prophets and apostles have adjusted the practices of God’s house to bless His children and guide them lovingly in the path of righteousness. Watch this video to learn how the Lord has changed temple ordinances throughout the scriptures. When Jesus Christ visited with the Nephites in Bountiful, he organized his church after a new manner. He standardized the practice of baptism, called disciples to be teachers and priests among them, and did away with sacrifices and burnt offerings. Instead of animal sacrifice, the Lord asked believers to offer a broken heart and a contrite spirit. These changes may have seemed radical to Nephites who had been observing the law of Moses for hundreds of years, but the Lord knew what he was doing. This major change opened the way for many more to become disciples of Christ, and it raised the bar for what was expected of true disciples. People often wonder how sacred ordinances could change if God never varies. However, the scriptures show that from time to time the Lord uses prophets to make adjustments to ordinances to guide His children in the covenant path. Adam and Eve did not perform animal sacrifice in the garden of Eden, but were later instructed to do so. The Israelites did not always celebrate holidays like the Passover, but did so once God delivered the Israelites out of Egypt into the promised land. In the Sermon on the Mount, Jesus Christ declared that he came not to destroy the law of Moses, but to fulfill it (Matthew 5:17). He then gave his disciples in the New Testament new commandments to live a higher law. The ordinances performed in the Kirtland temple in the 1830's were preparatory to the endowment and sealing ordinances that would be revealed in Nauvoo in the 1840's. Regardless of dispensation or culture, the Lord has used His prophets to make adjustments to sacred temple ordinances for His own purposes. The temple is and always has been a place where worshippers can learn more about Jesus Christ and Heavenly Father's plan for His children.